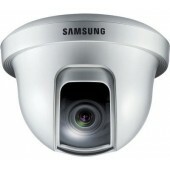 One of Samsung/Hanwha Techwins most requested camera lines, the selection of dome cameras is comprehensive and boasts an impressive array of features and functions. 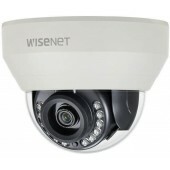 From indoor to vandal resistant environmental model, we have the dome cameras you’ve been looking for. Full HD resolution . 0.11 Lux@F1.6 (Color), 0 Lux (B/W : IR LED on) . 3.2 ~ 10mm (3.1x) V/F lens . 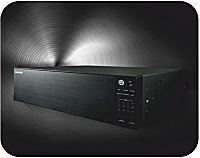 Day & Night (ICR), WDR (120dB) . 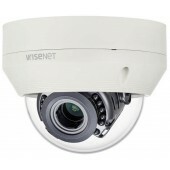 SSNRⅣ, Motion detection . IR viewable length 20m . Transmission distance max.500m . Easy Installation (Plug & play), Dual power. Full HD(1920x1080, 30fps) resolution. 0.1Lux@F2.6(Color), 0.01Lux@F2.6(B/W). Day & Night(ICR), WDR(100dB). Motion detection. Video transmission distance max. 500m. Easy installation, RS-485. IP66, IK10. Full HD resolution. 0.11 Lux@F1.6 (Color), 0 Lux (B/W : IR LED on). 3.2 ~ 10mm (3.1x) motorized V/F lens. Day & Night (ICR), WDR (120dB). SSNRⅣ, Motion detection. IR viewable length 20m. Transmission distance max.500m. Easy Installation (Plug & play), Dual power. QHD (2560 x 1440, 30fps) resolution. 0.27 Lux@F2.0 (Color), 0 Lux (B/W : IR LED on). Built-in 6.0mm fixed lens . Day & Night (ICR), DWDR, Motion detection. IR Viewable Length 30m . Transmission distance max.500m. Easy installation (Plug & play). QHD (2560 x 1440, 30fps) resolution. 0.26 Lux@F1.8 (Color), 0 Lux (B/W : IR LED on). Built-in 2.8mm fixed lens . 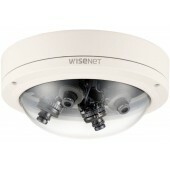 Day & Night (ICR), DWDR, Motion detection. IR Viewable Length 20m . Transmission distance max.500m. Easy installation (Plug & play). QHD (2560 x 1440, 30fps) resolution. 0.16 Lux@F1.6 (Color), 0 Lux (B/W : IR LED on). 3.2 ~ 10mm (3.1x) varifocal lens. Day & Night (ICR), DWDR, Motion detection. Transmission distance Max. 500m. Easy installation (Plug & play), Dual power. QHD (2560 x 1440, 30fps) resolution. 0.27 Lux@F2.0 (Color), 0 Lux (B/W : IR LED on). 4.0mm fixed lens . Day & Night (ICR), DWDR, Motion detection. IR Viewable Length 25m . Transmission distance max.500m. Easy installation (Plug & play). Full HD resolution . 0.11 Lux@F1.6 (Color), 0 Lux (B/W : IR LED on) . 3.2 ~ 10mm (3.1x) V/F lens . Day & Night (ICR), WDR (120dB) . SSNRⅣ, Motion detection . IR viewable length 30m, IP66, IK10 . Transmission distance max.500m . Easy Installation (Plug & play), Dual power. QHD (2560 x 1440, 30fps) resolution. 0.16 Lux@F1.6 (Color), 0 Lux (B/W : IR LED on). 3.2 ~ 10mm (3.1x) varifocal lens. 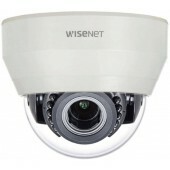 Day & Night (ICR), DWDR, Motion detection. Transmission distance Max. 500m. Easy installation (Plug & play), Dual power. IP66, IK10 support. QHD (2560 x 1440, 30fps) resolution. 0.27 Lux@F2.0 (Color) , 0 Lux (B/W : IR LED on). 6.0mm fixed lens . 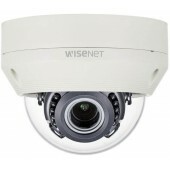 Day & Night (ICR), DWDR, Motion detection. IR Viewable Length 30m . Transmission distance max.500m. Easy installation (Plug & play), IP66, IK10 support. QHD (2560 x 1440, 30fps) resolution. 0.26 Lux@F1.8 (Color), 0 Lux (B/W : IR LED on). Built-in 2.8mm fixed lens. 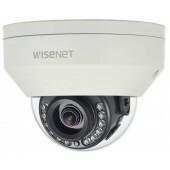 Day & Night (ICR), DWDR, Motion detection. IR Viewable Length 20m . Transmission distance max.500m. Easy installation (Plug & play), IP66, IK10 support. Full HD resolution. 0.11 Lux@F1.6 (Color), 0 Lux (B/W : IR LED on). 3.2 ~ 10mm (3.1x) motorized V/F lens. Day & Night (ICR), WDR (120dB). SSNRⅣ, Motion detection. IR viewable length 30m, IP66, IK10. Transmission distance max.500m. Easy Installation (Plug & play), Dual power. QHD (2560 x 1440, 30fps) resolution. 0.27 Lux@F2.0 (Color), 0 Lux (B/W : IR LED on). Built-in 4.0mm fixed lens . 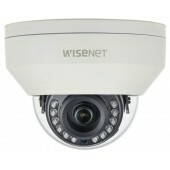 Day & Night (ICR), DWDR, Motion detection. IR Viewable Length 25m . Transmission distance max.500m. Easy installation (Plug & play), IP66, IK10 support.